As one of the most established dealers of KentWood Hardwood Floors in Vancouver, Capilano Hardwood has embraced KentWood as an industry leading, designer oriented hardwood flooring product with great success! 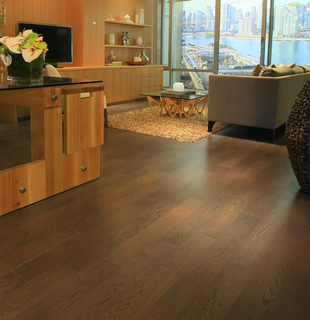 KentWood is committed to creating the world's most beautiful, durable, and desirable hardwood floors. KentWood is also only one of the few HardWood manufacturers who is always ready to try something new, and has introduced whole line ups of products that traditional competitors simply cannot match. KentWood floors are made to make a bold, distinctive design statement for the contemporary home. As the choice of designers, KentWood floors are also made to last for a lifetime, and in a way that ensures the forests last forever. KentWood hardwood has a very wide selection of FSC certified products! Since its introduction in 2003, the KentWood collection has grown to offer hundreds of modern, authentic hardwood floors, with colours, species, and finishes to suit every kind of lifestyle and living space! Kentwood hardwood floors have been installed in thousands of homes from cottages to condos to castles, in cities from Seattle to Salzburg to Shanghai. Capilano Hardwood installs KentWood Flooring Collections all over Vancouver and we have worked with the product from the very first year it was introduced, so you can expect only the best expert installation! Copyright © 2014 - Capilano Hardwood Floors Ltd.